Recently we have started eating energy bars which comes into the packet but our grandma’s were making this energy bar since years. 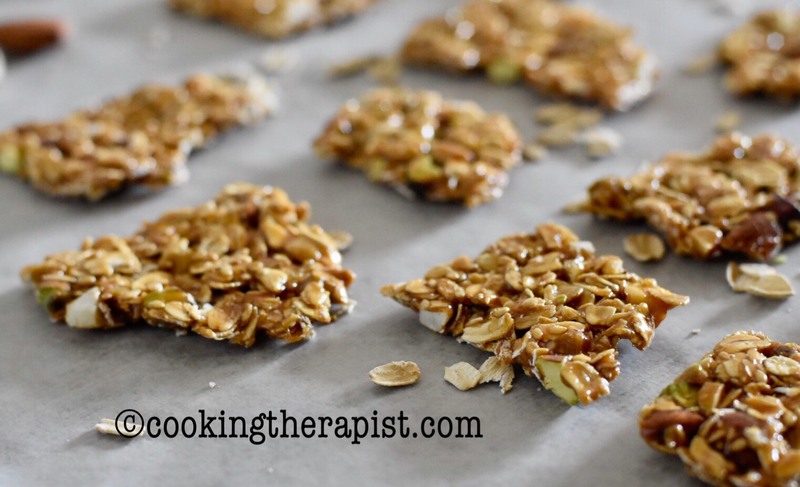 Here I am talking about chikki or traditional Indian energy bars, which can be made by using jaggery and groundnuts or by using sesame seed, bengal gram, puffed rice. People in India specially made this in kite flying festival or Uttarayana which is also known as makar sankranti and for the winter time. 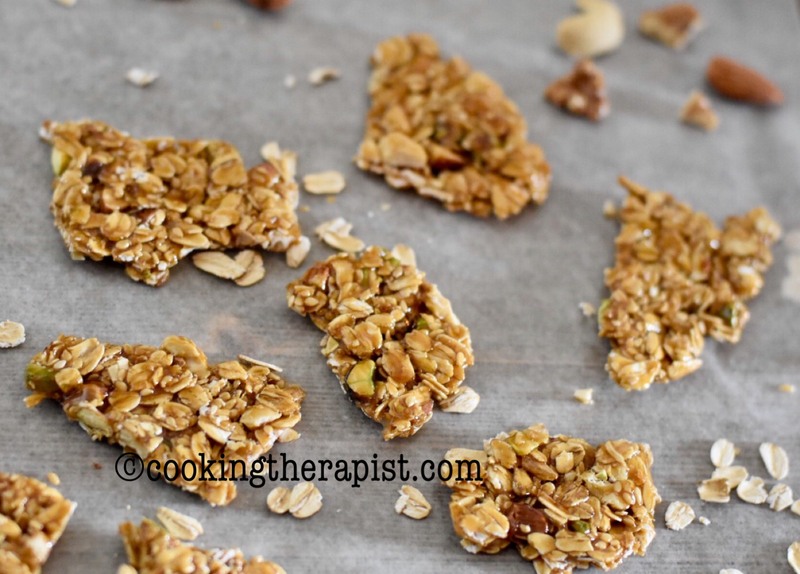 I have made Oats and nuts chikki to add more fibers, protein and oats benefits along with nuts and jaggery. As you already know that nuts are packed with protein, great source of energy, contains good fat and jaggery which enhances digestion, giving you long lasting energy and you can’t forget about iron when you talk about jaggery. If you are looking for more high protein recipes then you will love tofu bhurji masala dosa. Now you already know much about this powerful bars hence enter into the kitchen and just make it for you and your loved one. 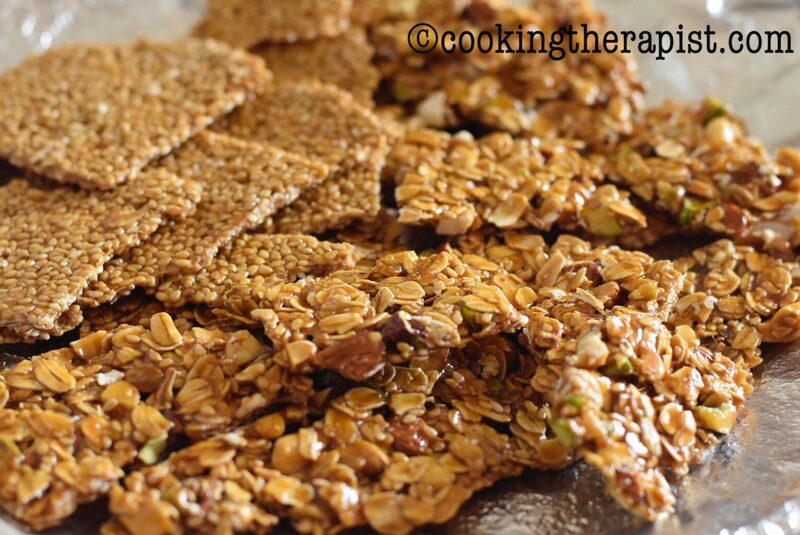 Crispy thin energy bars made out of jaggery with oats and nuts. Dry roast oats and nuts in the oven at 350* for 10-15 minutes. But keep an eye on it to prevent from burning. Alternately you can roast oats and nuts in a tawa on stovetop (gas). Chop nuts into small size or you can coarsely grind them on pulse mode. Apply little bit of oil or cooking spray to the aluminium foil and rolling pin. keep a small bowl full of water ready near you. Take a pan and switch on the gas on medium flame. Add jaggery into it. Stir the mixture until jaggery melts. When it comes to fully liquid stage and changing its color from light to little bit dark at that time turn of the gas. Add oats and nuts and if you want you can add sesame seed to the jaggery mixture. Add oats, nuts and jaggery mixture to the aluminium foil. Wet your hands a bit with water. Now here you need to work very fast, tap a bit on a mixture and make a ball or half dome shape and start rolling it very thin. You can pat the mixture while rolling if it is falling apart. Once it is cool down completely break it into the size you want. You have to be very quick while rolling mixture ball to make it thin. You can make it little thich too if you want to, I prefer the thinner version. If you are having allergy with gluten then check for the gluten free oats label. 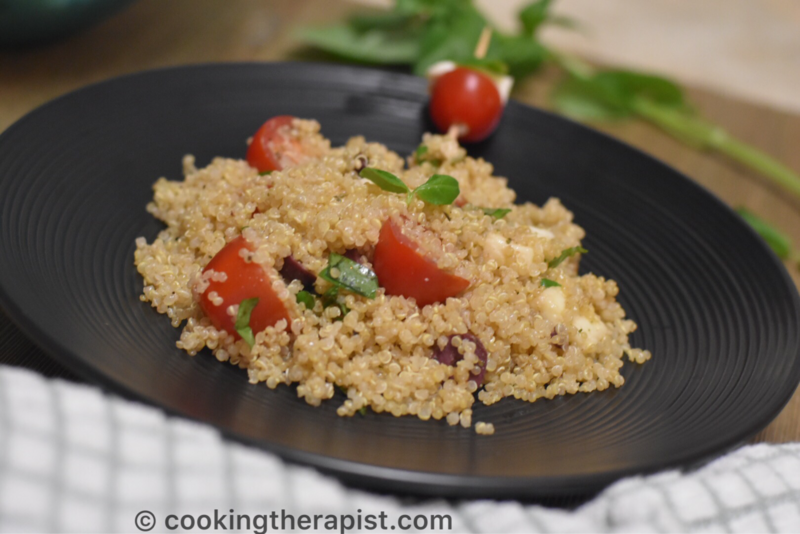 Check more protein packed recipes and healthy recipes here. Don’t forget to follow us on FACEBOOK for latest updates.